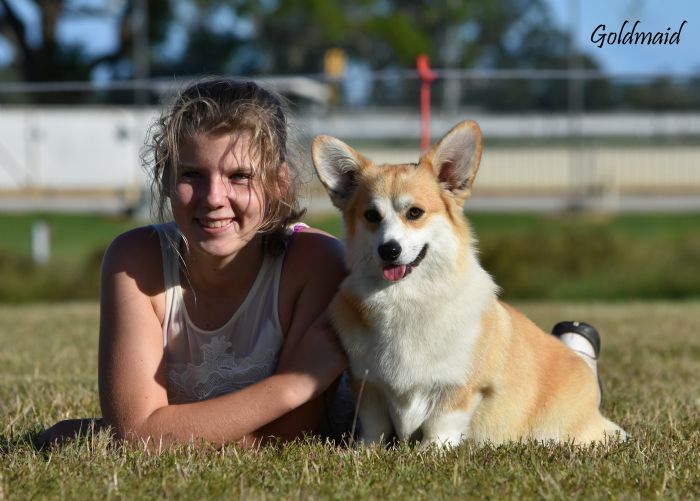 "Scarlett" started off her show career with a bang late 2014 and by September 2016 and Scarlett has achieved, 1RUBIS Corgi Specialty win, 1 RUBIS AB's and #15 AB BIG awards all before 2 yrs of age plus and her Australian Supreme Champion title. We are so proud of this little angel and felt her could do well at the European shows. In early 2017 Scarlett was flown to Denmark and onto Norway to live with the Wilberg family to start her European adventures. Winning BIS at her first outing plus a several more BIGs awards. 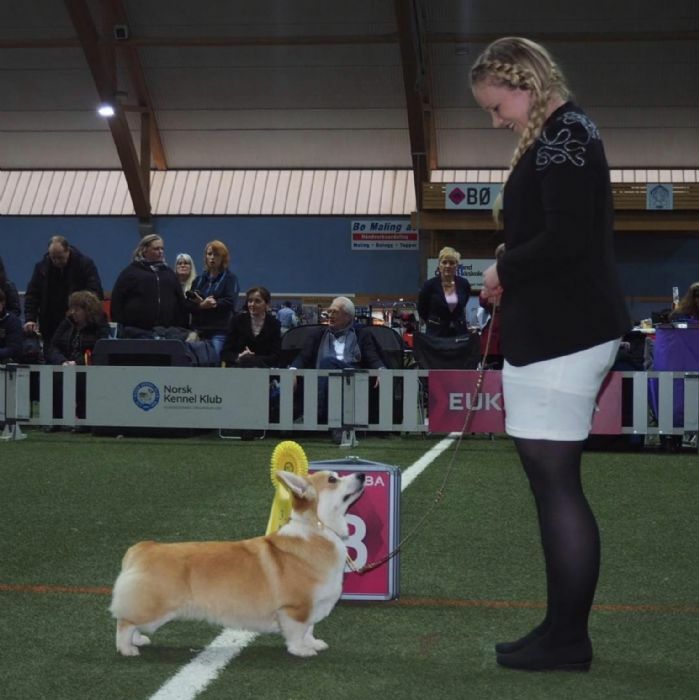 Scarlett is now gained her Norwegian Championship title. Our sincere thanks to Rita and Leif Wilberg and handler/daughter Julia for having Scarlett to stay and taking such wonderful care of her. Scarlett is just coming back full into coat we look forward to seeing Scarlett and Julia strut their stuff at many top shows throughout Europe. 2019. After 2 yrs of gaining so many titles plus making babies with Intch Siggens Pushkin withThe wonderful Wilberg family, Scarlett has come home to Aussie. She has not miss a beat. I know she is miss by allwho own, meet and showed her but her children will keep the flag flying on the European circuit. So proud of all her wonderful achievements and very proud Breeders.